Above: Contemporary image of the Star Spangled Banner flying over Fort McHenry, Baltimore, during the attack on the city led by Gen. Ross and the Royal Navy under Vice Adm. Sir Alexander Cochrane. Not only did Ross have a prominent role in the burning of the ‘White House’, but the subsequent attack on Baltimore which Ross jointly led with Vice Admiral Sir Alexander Cochrane (during which Ross was killed – 12th September 1814) provided the inspiration for the American national anthem. Prior to the battle, Francis Scott Key, a Georgetown lawyer, had been negotiating for the release of an American prisoner, Dr Beanes. Boarding HMS Tonnant, Key dined with General Ross and other British officers. Ross agreed to release Dr Beanes having been impressed by the generous treatment afforded British prisoners who had been wounded at the Battle of Bladensburg. Owing to the imminence of the British attack on Baltimore, Key was not permitted to return ashore. 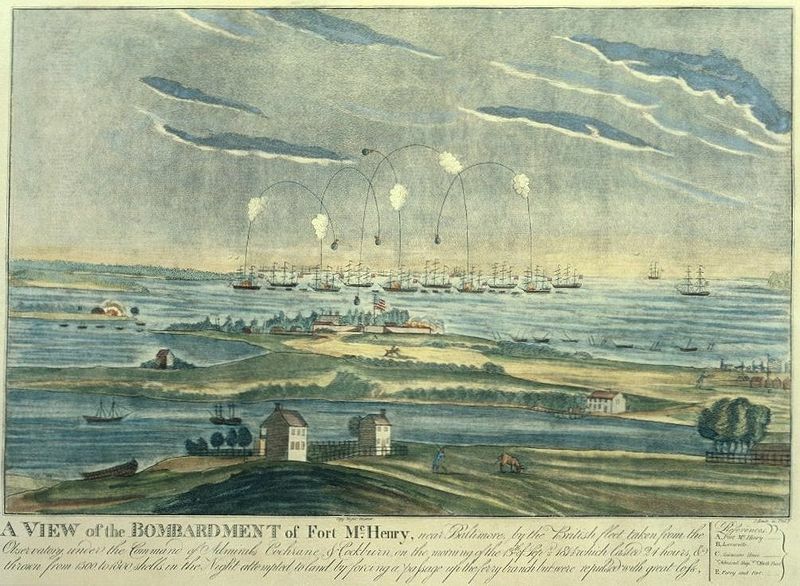 He thus witnessed the massive bombardment unleashed by the Royal Navy on Fort McHenry. The sight of the Stars and Stripes still flying from the ramparts of Fort McHenry when the bombardment ceased inspired him to pen the lyrics of the Star Spangled Banner. Fort McHenry, as it happens, was named after another Irishman (of Scots Irish descent), the Ballymena born James McHenry, Secretary for War to President Washington. 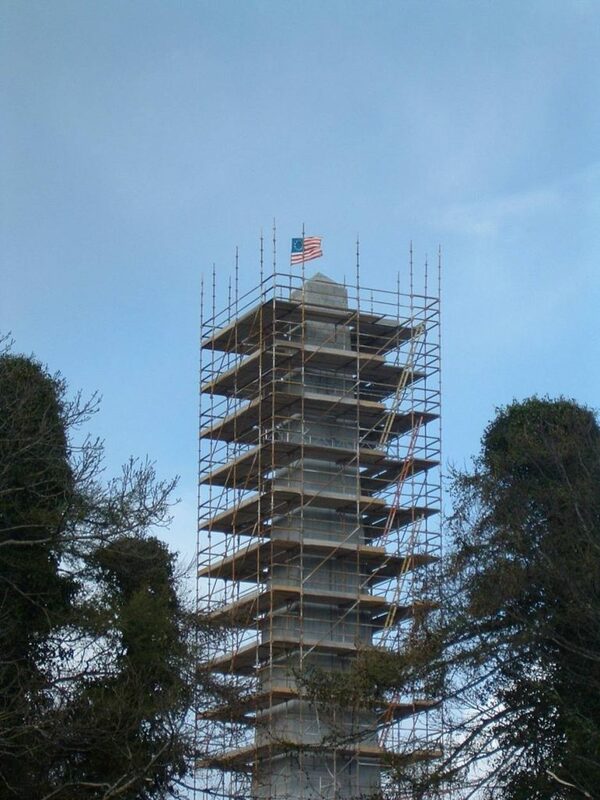 Ironically, during the recent restoration of the Ross Monument in Rostrevor, County Down, someone hoisted an ‘original’ US flag, the ‘Betsy Ross’, on the scaffolding. 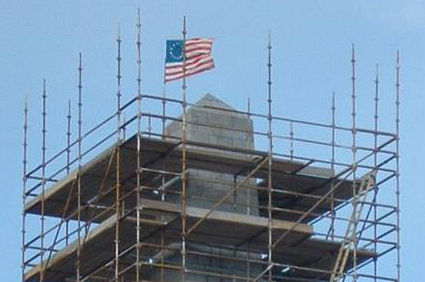 Above: ‘Original’ US flag, the ‘Betsy Ross’, fluttering defiantly from the Ross Monument in Rostrevor, County Down, Northern Ireland, during the recent restoration project. Above: Close up of the ‘Betsy Ross’ on the scaffolding of the Ross Monument, Rostrevor, County Down, Northern Ireland, during restoration work in 2008. 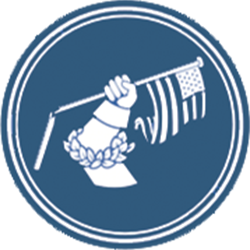 There is a major Star Spangled Banner exhibition at the National Museum of American History at the Smithsonian Institution, Washington, D.C., where the original flag is on display.